Aids Orphans Rising: Orphans getting covered! Have you ever been so cold that you wake up with your teeth chattering? That’s what happens when you sleep in a city with an altitude of 7,896 feet without a blanket! 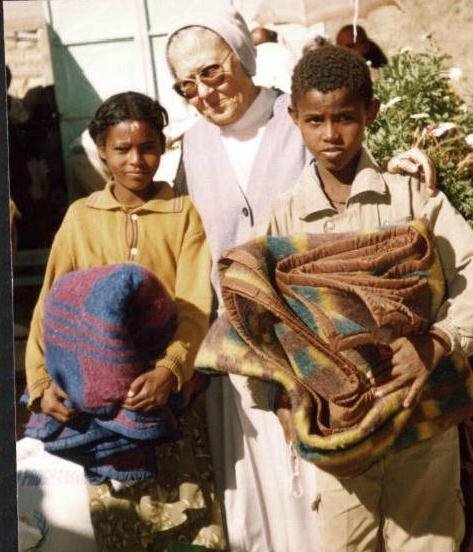 The best present to give a child in Adigrat, Ethiopia is a blanket! And I am happy to say that someone has just donated 9,000 blankets for us to distribute to any children we find! Love in action! Read through this Encyclical of Pope Benedict slowly it will change your life!